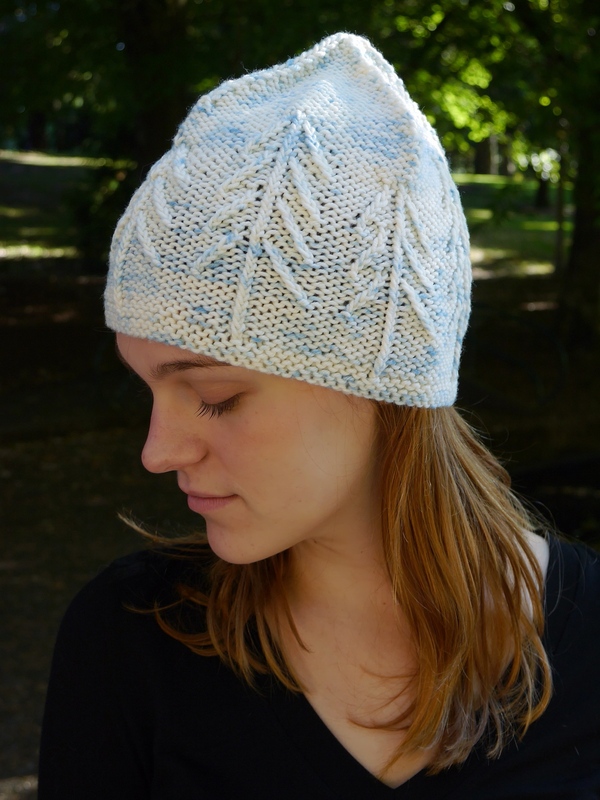 The fir trees of the Snowy Woods Hat are created with traveling twisted stitches on a reverse stockinette background. It is a quick knit in worsted weight yarn. The pattern is available through Ravelry. 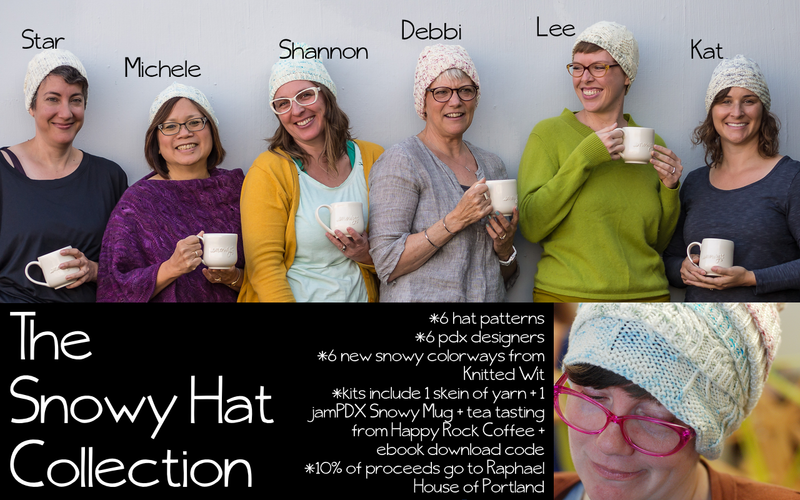 • 10% of proceeds from the sale of kits through 12/31/15 will go to Raphael House of Portland, a domestic violence agency and emergency shelter. Instructions for the trees are provided in both chart and written form. 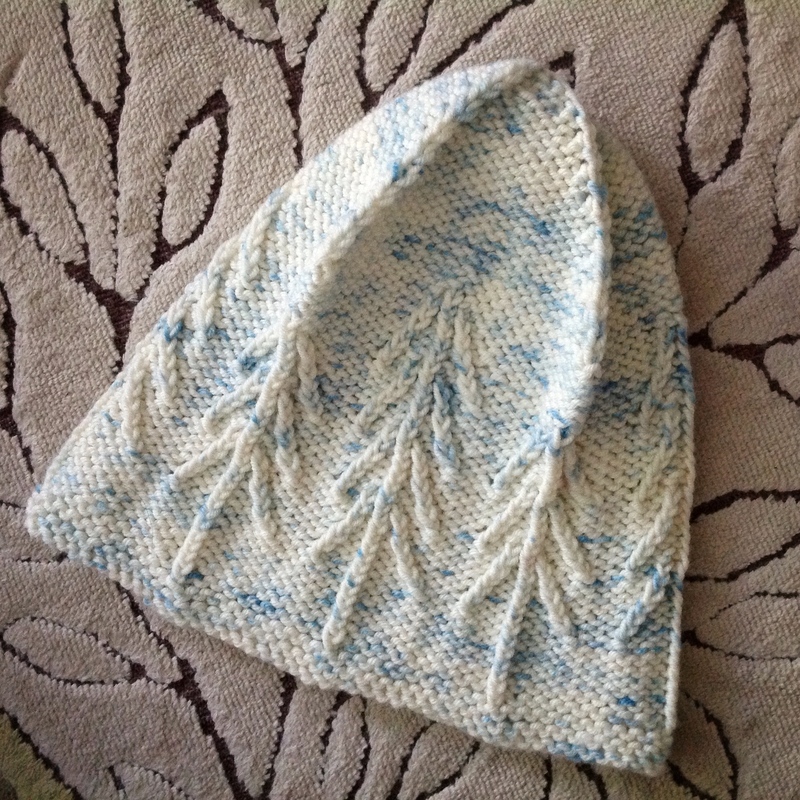 The hat can be adjusted for size by increasing or decreasing the stockinette background stitches; instructions are in the pattern. 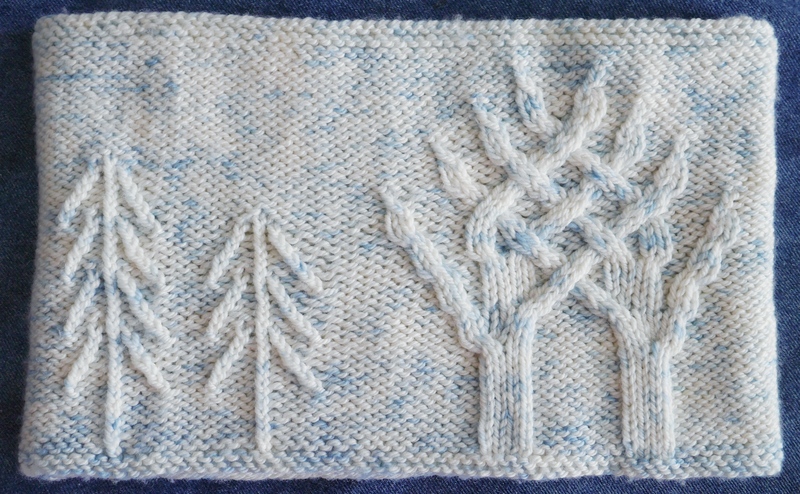 For my Snowy Hat project, I designed this hat as a companion piece to my Snowy Woods Cowl, which features fir trees and additional intertwining cabled trees. 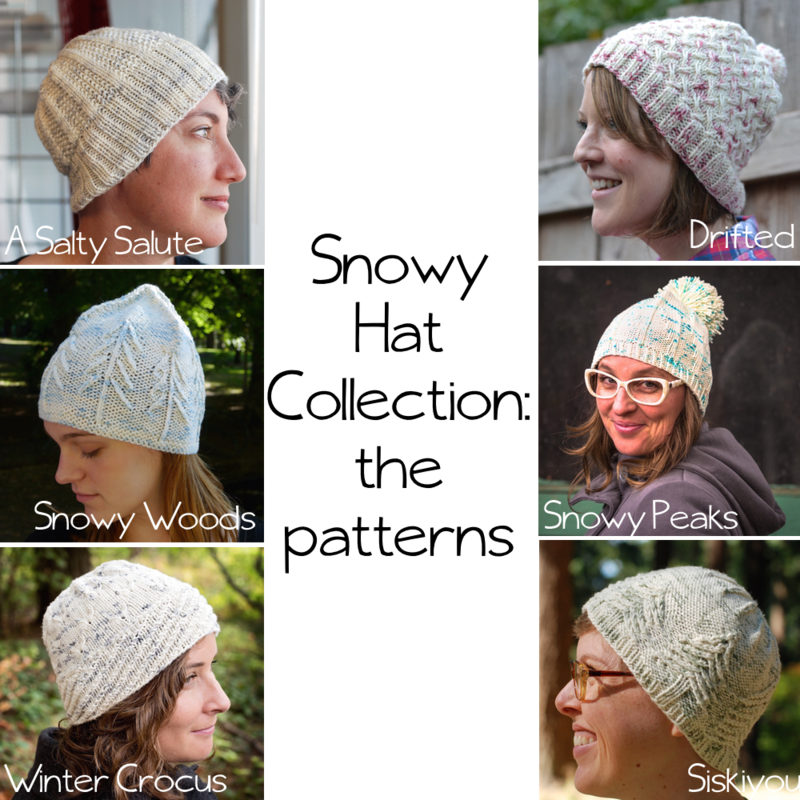 Lorajean (Knitted Wit) and I collaborated last year on an Aran weight Snowy Woods Cowl kit, and the yarn was so pretty she was inspired to create this very Portland Snowy Hat Collection.